Beijing is not a shabby little village! The size of it is enormous, and there are a lot of very modern and even spectacular office buildings and hotels. 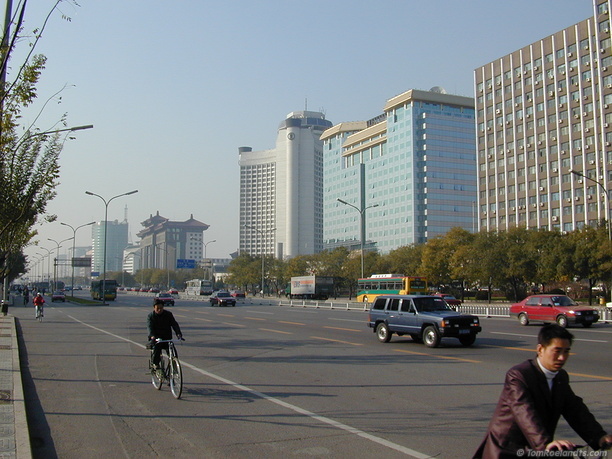 The photo shows one of the boulevards, but don’t think that this is the main street of Beijing. All the main boulevards are like this. This is photo 5 of 12 from the China series.